Becky Repp, BFA, ARM, and co-founded Mock Turtle Press. She co-leads a team that produces high-quality, critically-acclaimed books, the award-winning American Road Magazine, and various contracted works (documentaries, web sites, brochures, etc.). Since 2002 Rebecca Repp has served as the General Manager for American Road magazine–a glossy publication devoted to promoting and communicating the joys of traveling America’s scenic and historic back roads. 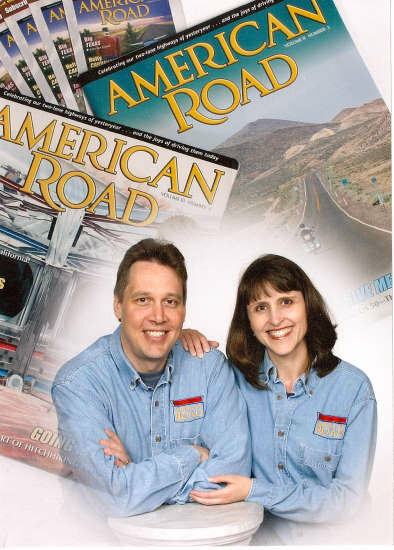 American Road Magazine is distributed nationally and internationally by Disticor Distribution and is available in fine bookstores including Barnes and Noble, Hastings, Books-A-Million, etc. Repp was recently elected to the board of directors for the National Scenic Byway Foundation.